The gates of Essen Spiel 2017 are open. We are rushing in with the plan to catch Charterstone, When we reached the booth, the line was half hall long so we switched to plan B - Clans of Caledonia. Two halls later we are on the target, this time without any fuss. Along the way we caught Trans Atlantic and Concordia expansion: Aegyptus and Creta. Satisfying our boardgame cravings we turned to miniatures. We left Prodos booth with few boxes of reinforcements for our Mishima, Cybertronic, Brotherhood and Bauhaus armies. Then we went across most of the fair to Wild West Exodus boot, and box of rules, cards and gubbins. It was around 1 p.m. that our eyes and backpacks were full and our senses were overloaded, so we had to turn back to our hotel. On our way out we caught a real bargain of CV game (nice little card game). After short rest we unpacked our loot and tried Clans of Caledonia first, and then CV. We loved both games. With mad shopping frenzy of Thursday behind, we approached fairground more relaxed. Today we were more for sight seeing and playing games. 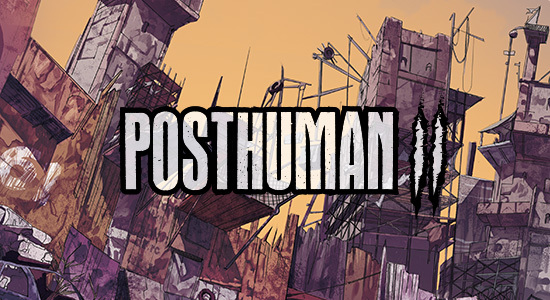 Our first demo was of Posthuman 2, nice post apocalyptic game. After that we had a few rounds of Perdition's Mouth - abyssal rift, dungeon crawler with more then just fighting with monsters, but with big monster at the end of the road. Lastly we played Battlestations. This time we played a full game with a nice German couple, and presenter as the game master. It's a kind of space opera, where you can build your ship (from cardboard tiles with various ship forms depending on race), fly around on space map during mission, connect missions in campaign all while leveling your characters. Speaking of characters, there are four classes for players (pilot, engineer, science officer and marine). Game could be played with maximum of 9 players (game master + 2 times all of the classes). We played a mission where our goal was to stop a rouge robot ship of making a warp jump. Premise of the game is very appealing to me, but the game is little rough around edges. What I mean by that: depending on mission and your position you can have a great game (as a Marine, I shoot ship guns, launched missiles, teleported to enemy ship and fought rogue robots), or not so great game ( as my son who played engineer and spend whole game throwing two D6 looking for 7 to provide our ship with energy). My son would have more eventful game if our ship sustained damage from enemy fire, but it did not happen. 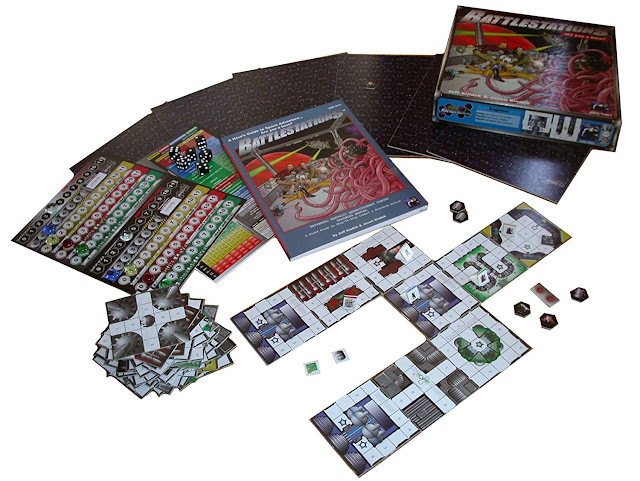 This shortcome of the game could be overcome if game is played in 2 or 3 players (game master + player/s controlling 2 or four miniatures, with paring of Marine/science officer with engineer/pilot). Anyhow we had great fun playing this game, with good part of that fun coming from great playmates we played with. Second day of the we Spiel added Nations the dice game, Dream home (for younger members of our family), small expansions for Pay dirt (stuff like this and promos are the thing I like the most about these shows/conventions) and few more boxes of Warzone resurrection. At hotel we played Trans Atlantic. On Saturday we tried an alternative way for reaching fairground by going to last stop of no. 17 underground line (u-bahn), and then walking through Gruga park (very nice walk, tho weather was slightly chilly). We were snooping around, staying away from hall no 3 and 1 where most of the crowd was. This day we tried Aristeia, the "sports" board game in Infinity universe ("sport"game where you shoot your opponents), and we like it and we made a decision to purchase it when we come home. After that we found Ludus Magnus Studio and tried Sine Tempore. I backed this game on kickstarter and it is close to delivery. The guys in boot were very welcoming and I was humbled by their gratitude when they learned out that I supported them on kickstarter. It is first time to me to come in contact with someone I supported on Kickstarter, and it made me think about people I supported and not the product, for the first time. We played few rounds of combat and I liked the game. The game is sci-fi and should be something like Kingdom death, in sense that you have stuff you do between battles, so I hope it will be as good. The miniatures are gorgeous. We tried to get ourself a demo of the Lords of Hellas, but a game was well on its way when we reached the boot, so we did not want to wait for next one. At the hotel we played Indian summer and I was so overwhelmed by smoothness and visual appeal of this game. We finished that day by packing our stuff and preparing for return to our little off-grid community after three days of immersion in Great gaming world. Spiel is primary a boardgame trading fair. Boardgames are pretty big in Germany with players coming from all age groups (we even saw a two month old baby :) ). So crowd could be very dense especially on Saturday, or if you try to come on the gate opening at 10 o'clock any other day. Most of the games sold in Essen are in German, but there are enough boxes for English speaking folks to give them a reason to come to shop. English copies of most popular games are usually sold first day and finding some older games in English (3 years or more old), could be difficult. On the other hand, you can find games you most likely could never see on Internet or at your local retailer. Miniature games are in minority on Essen, but after being there for two years, I see that their number is rising, and in future hall no 6 will probably turn into a miniature hall. Except GW big names are only presented by German distributors, but you can find many boots of smaller companies (War cradle and Mantic had their premier this year). For logging, it is not easy to find a suitable accommodation in Essen if you do not reserve it well in advance (three or more months). As well as past year I opted to stay in Best Western Hotel in Mulheim ab Ruhr (town next to Essen with direct u-bahn (subway) line to it). Hotel is in shopping mall located above the terminal of u-bahn line 18 to Essen, with food corner/supermarket across/below reception and all amenities of 4 star hotel. It is 30 min ride on u-bahn to Essen fairground. Small tip: try to avoid getting on U11 to fair on Essen HBF station - crowds are largest there. You can buy lots of miniatures/boardgames for money you spent going to Essen, but experience, for me, is worth it.